This non-named lake is very difficult to reach. Very few people make it. There are no trails and the way in is long and rugged. The water and the air are very pure. 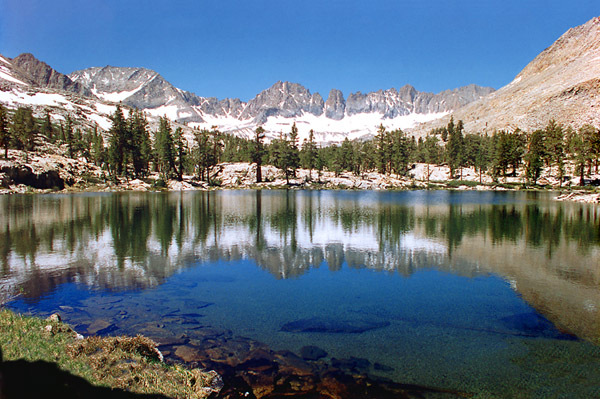 That mountain range is the Kaweah Peaks Ridge, including Kaweah King at 13,802', Gray Kaweah, Squaretop, Bilko Pinnacle and Red Kaweah.